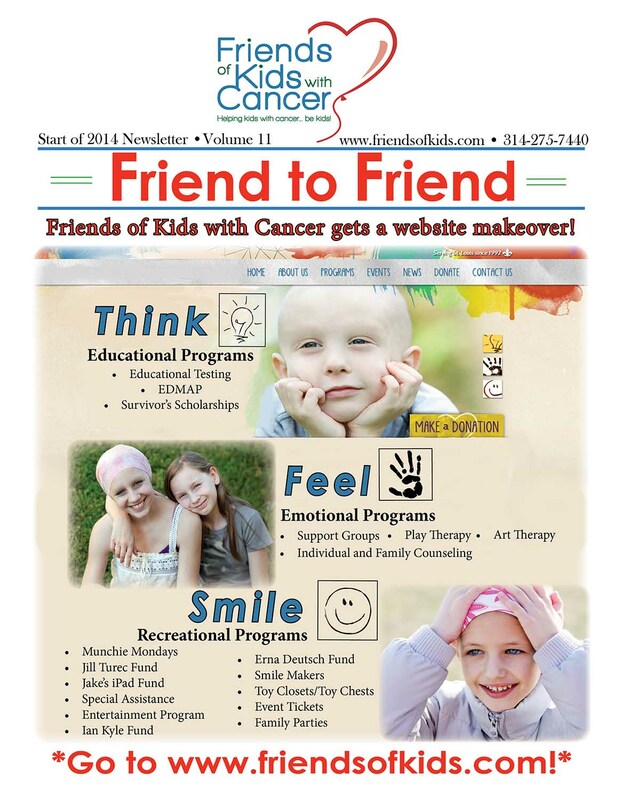 Friends of Kids with Cancer | What's up at "Friends"? What's up at "Friends"? Check out our newest Newsletter! The first several months of 2014 have been great and we are so grateful for having some of the best volunteers, donors and families in the world. Thank you to everyone who's ever supported our organization to help these kids. We want to keep everyone informed about how YOUR support is helping these kids battle cancer. Check out the Start of 2014 Newsletter HERE.